In 12 states, felony drug offenders face lifelong exclusion from most public benefits, even after serving prison time. In 25 other states, women incarcerated for drug offenses are subjected to a partial embargo of benefits. This is because of a hastily added provision to the 1996 Personal Responsibility and Work Opportunity Reconciliation Act (PRWORA), also known as the Welfare Reform Act, which aimed to reduce welfare dependence. 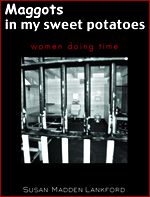 Not only are women with drug convictions unlikely to get the help they need before or during their incarceration, but thanks to this provision many of them, after serving their time, will also face being barred for life from receiving most forms of public benefits—including the Supplemental Nutrition Assistance Program and Temporary Assistance to Needy Families. The purpose of the prohibition, supposedly, is to deter drug use and the criminal behavior that sometimes arises from it by making it harder for addicts to trade food stamps or use cash benefits for drugs. However, a new report by the nonprofit Sentencing Project, titled “A Lifetime of Punishment,” examined the impact of the PRWORA provision and found no evidence that this goal was being achieved. On the contrary, by denying benefits to those most in need, the ill-conceived embargo may be having a particularly devastating impact on women and children of color and is more likely to perpetuate the cycle of poverty and addiction that leads people to abuse or sell drugs in the first place. Minority women are feeling the brunt of the prohibition. Today nearly one-third of women in state prisons are incarcerated for drug offenses, and approximately two-thirds of them are black or Hispanic, even though data collected by the Department of Health and Human Services have shown that white women use drugs at roughly the same rate. Over the past 30 years, the female prison population has increased at nearly twice the rate of the male prison population, an unprecedented development primarily attributable to the war on drugs. A policy that denies those with drug convictions access to food and cash benefits for life starts to look especially cruel when you examine the lives of women who end up in prison. As of 2003, 74 percent of women in state prisons had substance-abuse issues, 57 percent reported having been sexually or physically abused prior to their incarceration, about 73 percent had some kind of mental-health problem and almost a quarter suffered from a psychiatric disorder. Sixty-four percent of women in state prisons did not graduate from high school, almost half were unemployed a month prior to their arrest and nearly two-thirds were mothers of minors. It’s really irrational for Congress to have passed something as significant as this ban is for re-entry and life prospects of prisoners and not to have allocated any funding to evaluate its impact or to see if the legislation is meeting its goal. The provision allows states to opt out of the prohibition if they wish, but so far, only 13 have done so. Twenty-five states have modified embargoes that either impose time limits or allow benefits contingent on completion of drug-treatment programs. Twelve states—including ones with high poverty levels and large prison populations like Alabama, Georgia, South Carolina and Texas—still have outright lifetime embargoes in place. Bills have been introduced in Congress to repeal the prohibition, but none have gained enough support to change the policy. Meanwhile, a recent Farm Bill amendment introduced by Louisiana Republican Sen. David Vitter that sought to expand the scope of the embargo to retroactively include other felony convictions was approved by the Senate. Congress has yet to realize that in helping prisoners reintegrate into society, especially the most vulnerable among them, the carrot approach is much more beneficial than the stick. I beseech you all to think about these women. They would be much better served in a true rehabilitation center than in prison, where there is no real help, no real programs to rehabilitate, no programs to educate and no way to be prepared for life out there. Stewart realized that many women with drug convictions were victims of lives crippled by poverty and hardship and that a little assistance from the state would be much more beneficial to them than a heavy dose of punishment. PRWORA was a cornerstone of the Republican Contract with America and was introduced by Republican Rep. E. Clay Shaw, Jr. Bill Clinton signed it into law on August 22, 1996, fulfilling his 1992 campaign promise to “end welfare as we have come to know it.” Immediately, three assistant secretaries at the Department of Health and Human Services resigned to protest the law. They believed that the 1996 welfare reform law destroyed the safety net, increased poverty, lowered income for single mothers, put people from welfare into homeless shelters and left states free to eliminate welfare entirely. It forced mothers with children from welfare to work, but many of them did not earn enough to survive. Many were just pushed off welfare rolls because they didn’t show up for an appointment, could not get to an appointment for lack of child care or were not notified of the appointment. PRWORA was motivated by racism and misogyny, using stereotypes of lazy, overweight, slovenly, sexually indulgent and ‘endlessly fecund’ African-American welfare recipients. PRWORA dismissed the value of the unpaid work of raising a family and insisted that mothers get paid work, no matter how dangerous, abusive, or poorly paid. Should a Drug Conviction Mean a Lifetime Ban on Welfare and Food Stamps? 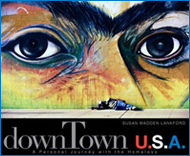 To take a penetrating look at the needs and challenges of society's disenfranchised—the denizens of our streets, the emotionally and physically incarcerated, children in juvenile hall and in unsettled homes. To encourage public awareness of the causes that underlie the destructive cycles plaguing these populations, including the abuse and neglect that cycle through generations; to underscore that the economic burden on society is lightened when these issues are addressed. To use photography, books, film, education, and advocacy to increase understanding and engender humane response.